Sea Cuisine offers deliciously simple seafood, yet its identity and packaging design had grown rather complicated. Motiv helped the suite of frozen seafood products go from virtually invisible to instantly recognizable. Communicating a brand story through the frosty chill of a freezer case can be like a swim upstream. For High Liner Foods, the identity of its Sea Cuisine brand had become fractured over the years due to the fragmented use of color, photography, and other misaligned packaging elements. 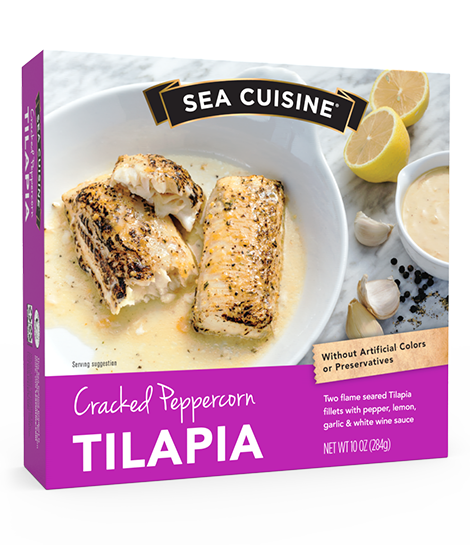 So much so that its collection of tilapia, cod, and other seafood products was hardly discernible in the freezer sections at Costco, Sam’s Club, and other wholesale retailers. Motiv elevated the value of the Sea Cuisine product line by developing a unified brand language and redesigning its identity system. 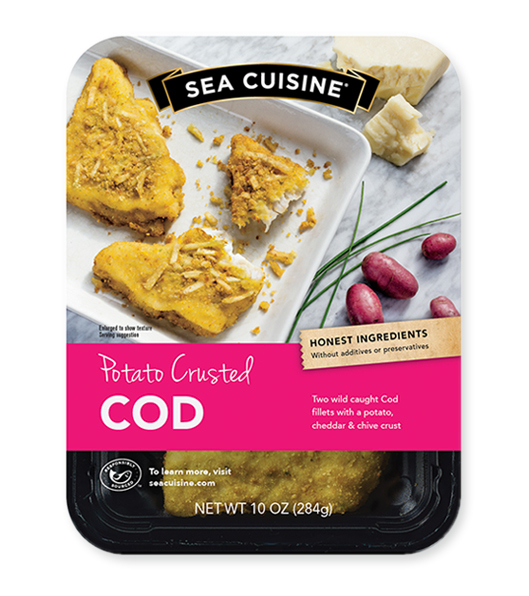 The new package design introduces color blocks to distinguish the various fish species and features engaging photography to reinforce the culinary appeal of Sea Cuisine products as the center of a delicious, nutritious meal.